This week is in danger of becoming "Chanel week"! 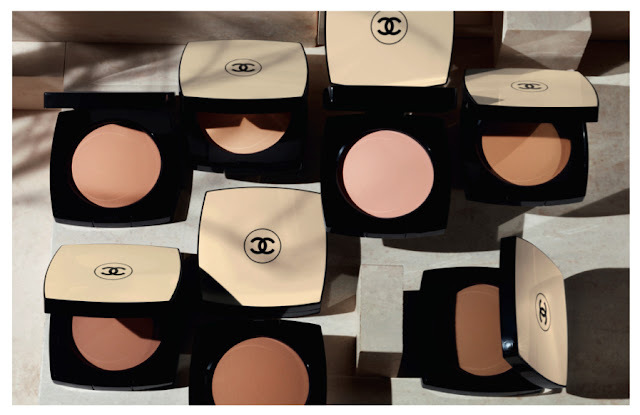 Nonetheless, I wanted to write about Chanel's latest Makeup launch, Les Beiges, due out on 15th March, a range of Healthy Glow Sheer Powders in compact powder form. Peter Philips developed, possibly as his swan song as Creative Director of Chanel Makeup (he has resigned from product development, noooooooo! 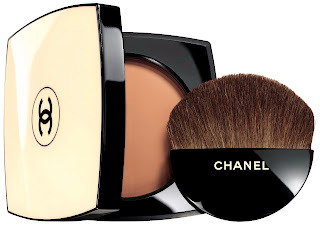 ), this promises an "outdoor, radiant complexion and a healthy glow", without any pearlescent or iridescent ingredients more usually used to give bronzers their glow and eschewing orange-based pigments. This range of products was specifically developed with both Asian and Caucasian skin tones in mind, and targets neither a tanning nor a whitening result; instead it will supposedly suggest a subtle natural glow, mimicking the result of a walk outdoors. In addition to being a finishing powder, this is a skincare product in its own right, enriched with cotton flower and white rose plant cells which protect the skin against pollution, dehydration and environmental stress factors. It will also have an SPF (ranging from 15 to 30, depending on the product) as well as anti-UVA protection. 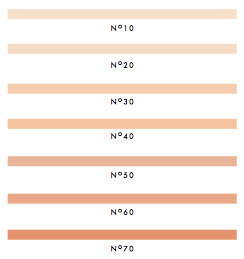 Shade-wise, these are available from N°10 to N°70 and will cost €48.00. 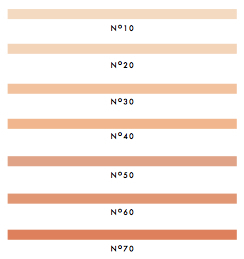 Shades N°10 to N°50 will be available in Ireland and contain an SPF of 15. If these are as subtle as the collection PR suggests, then I imagine they will pair beautifully with the recent Chanel (LE) highlighter (Poudre Signée de Chanel) from the Spring Summer collection. The collection will also feature a retractable Kabuki brush, retailing at €44.00.